Thank you for visiting the Lake View Vol. Fire Department. Here you can see what services we offer, contact information, and you can keep up to date on the news and events of the district. 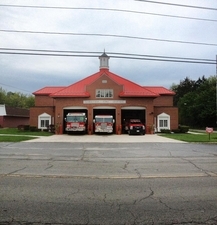 Since 1924 the Lake View Volunteer Fire Department has been providing the citizens of Lake View the finest in fire protection, Emergency Medical Services, rescue, and fire prevention. Located on the shores of Lake Erie in the Town of Hamburg, we are proud to be celebrating 95 years of service to our community in 2019.